Visiting Halleemah’s site, just like her presence, makes me smile. I’m always in awe of people confidently walking in purpose, unapologetic about their drive, and able to royally walk with the common touch. The chica we affectionately call “Leem,” is among the many gems within our midst that strives to make others shine. The entrepreneur, entertainment and sports consultant, faith leader and global influencer is set to make major moves this season, including heading back to her beloved Cali, and in a couple months will be unveiling her school in Kenya. I had the pleasure of traveling with my new sister this past November in Benin, West Africa and just getting to know and see how God is using her to bring light to others. 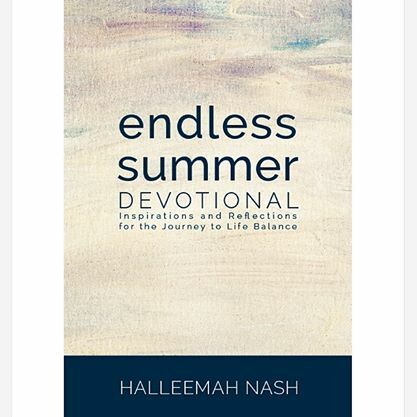 This summer, Halleemah added “author” to her resume, publishing her first book “Endless Summer Devotional,” a perfect “go-to” guide for today’s “on-the-go” generation. So this week, I wanted to do something different, and am sharing a Bold&Fab exclusive interview with Halleemah, a woman who has aligned experience with calling. #IfyThursdays: Congratulations on your first book, Halleemah. I feel like we were all just in Benin together. When did you get the time to write this, and why did you write Endless Summer? Halleemah: I actually began shortly after the November 2013 trip to West Africa. I saw the great impact of sharing “story” and I had experienced a series of great triumphs and wanted to create a vehicle where I should encourage and strengthen others that I may not reach in speaking engagements and social media posts. Writing Endless Summer enabled me to spread my voice and my testimony in a wider capacity and my hope is that when people read it they can see their own ability to find victory over adversity, a stronger sense of self, a deepened faith and a balanced perspective. #IfyThursdays: There are many daily devotionals out there, but I feel yours provides a great start or finish to a “woman of the go” schedule. How did your professional career help or hinder your process? Halleemah: My career definitely helped if you can believe that. As an entrepreneur, consultant, and speaker I have to wear a lot of hats and juggle many balls at once and I found that time management and prioritizing has been a tool that has helped me be successful in business, so I utilized it to the letter in the writing of my book. If I was going to write book on balance I had to practice it. In the two months that I spent completing Endless Summer, because I exercised greater intentionality when it came to balance, I had the healthiest and most productive season of my life. I put those devotionals into practice. I “Feng Shui’ed My Relationships” and “Let Go” of perspectives and people that were anvils, I ate healthy and exercised, and I spent time with friends. I saw first hand what can be produced in our lives when we are truly balanced. #IfyThursdays: What chapter is your favorite? Halleemah: I would have to say “Forgiving Our Fathers.” There is so much brokenness around relationships in the Black community and its impacted both our families and our ability to develop healthy connections. If we don’t learn how to forgive and see past the frailties of humanity and forgive the fathers who just couldn’t get it right we will raise a generation of younger boys and girls in bitterness anchored by our pain and not propelled by the promise and hope that love is achievable no matter who left or who was absent or wronged us. Forgiveness builds a bridge. And as much fatherlessness hurts our communities, so does lack of forgiveness. I learned this lesson first hand when after being released from prison I spoke with my father for the first time in over a decade and prayed the Lord’s Prayer with him. It was hard. I wanted to be angry at him for not being there when I needed him. I wanted to throw fiery darts and return the pain of his absence. But when I heard his voice and the hurt that permeated through his own voice related to all of the mistakes he’d made in his life- I was reminded of the healing that God’s love provides. We didn’t deserve what Christ did on the cross for us. But the gift was given, as difficult as it was to endure. And that is the act that we mimic when we freely give love that is undeserved. It breaks us. It changes us. It mends us. I prayed with my father, and instead of darts I showered him with love. It didn’t magically transform him into Father of the Year. But it transformed me. It released me from the chains of unforgiveness. I felt free. And I still believe that that kind of love builds men that have already been broken by this world. #IfyThursdays: You do a lot of empowerment initiatives, here and internationally. But you’re always reppin’ Compton as well lol. How influential Israeli your hometown roots to your service? Halleemah: I like to say Compton bred, Howard University built, and globally based. I am a citizen of the world and everywhere I go I take with me a city that has been so heavily branded as a city where the gangstas dwell but should also be seen as as city that produces greatness. There is more to Compton, California than low riders, tattoos and gang culture. It is a city that has produced entrepreneurs, educators, thought leaders, political powerhouses (like Mayor Aja Brown), and even world class athletes and coaches. We grow from the grit and it teaches us how to go past survival to success- remembering to reach back as we climb. #IfyThursdays: What should the world expect next from Halleemah Nash? 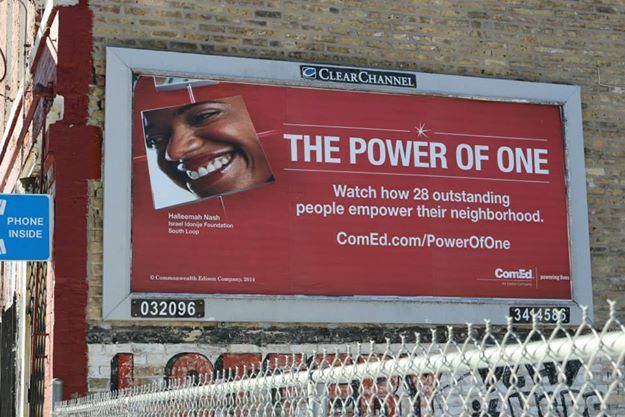 Halleemah Nash, on a billboard in her childhood neighborhood in California. This entry was posted in Thursdays with Ify and tagged athletes, Author, endless summer, entertainment, entrepreneur, halleemah nash, influencer, purpose, visionary. Bookmark the permalink.